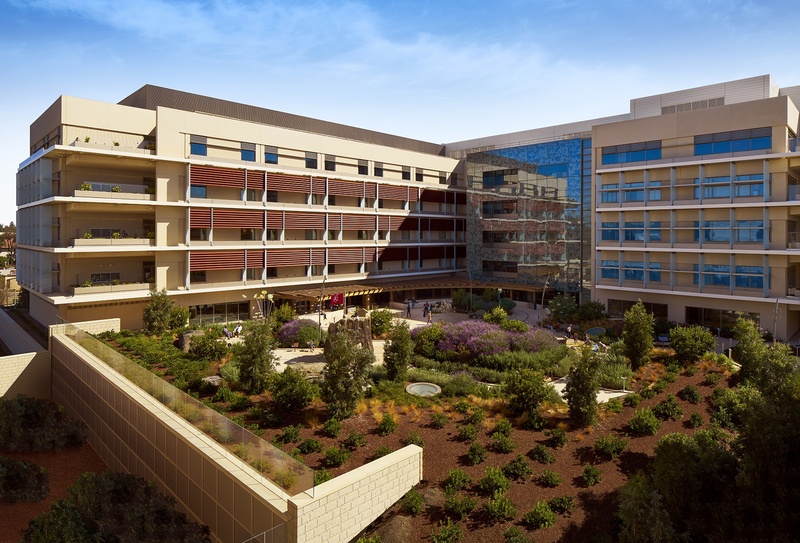 Lucile Packard Children’s Hospital Stanford (LPCH) achieves Stanford Children’s Health’s goal to create America’s most technologically advanced, family-friendly, and environmentally sustainable hospital for babies, children, and expectant mothers. The 521,000-square-foot building was designed, planned and built by executive architects and medical planners HGA; design architects Perkins+Will; engineers at Mazzetti; and general contractor DPR Construction. 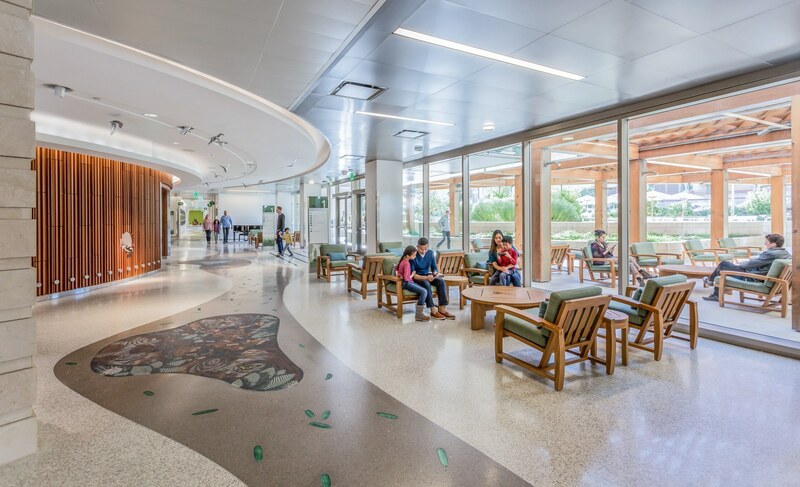 The teams worked closely with patients, families, and hospital faculty and staff to create the one-of-a-kind facility, which is anchored by the core themes of providing a family-centered approach to health care and meeting the highest standards for sustainability. 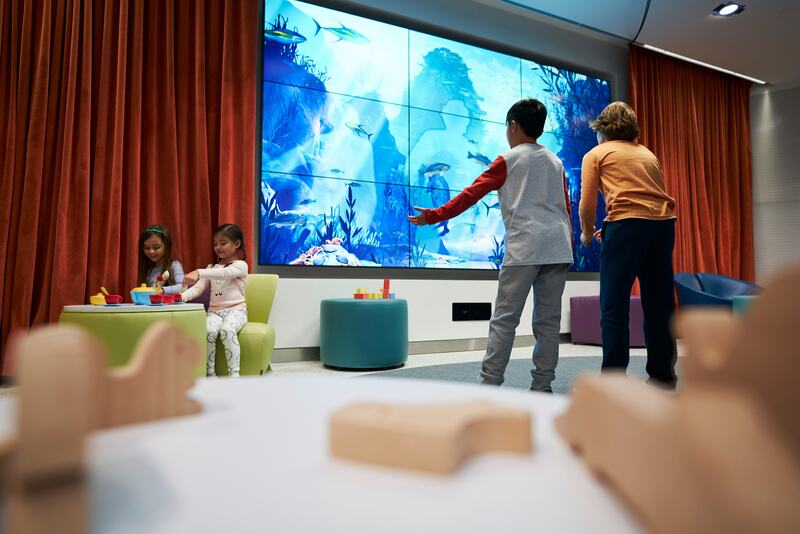 Through a data-driven planning process involving community open houses, simulations, tours and feedback from physicians, hospital staff and the Packard Children’s Family Advisory Council, HGA created an operationally efficient medical platform that supports superior pediatric care. For instance, caregivers have direct sightlines from their workstations into patient rooms for quicker response. Co-location of medical services (including merging imaging and surgery platforms in the Treatment Center) result in less travel time for anesthesiologists. Staff circulation routes are separate from patients and their families. Medication alcoves located outside patient rooms decrease the amount of time caregivers need to retrieve medication. Pharmacy spaces are in the same location on every floor, allowing for a shared lift to optimize efficiency. 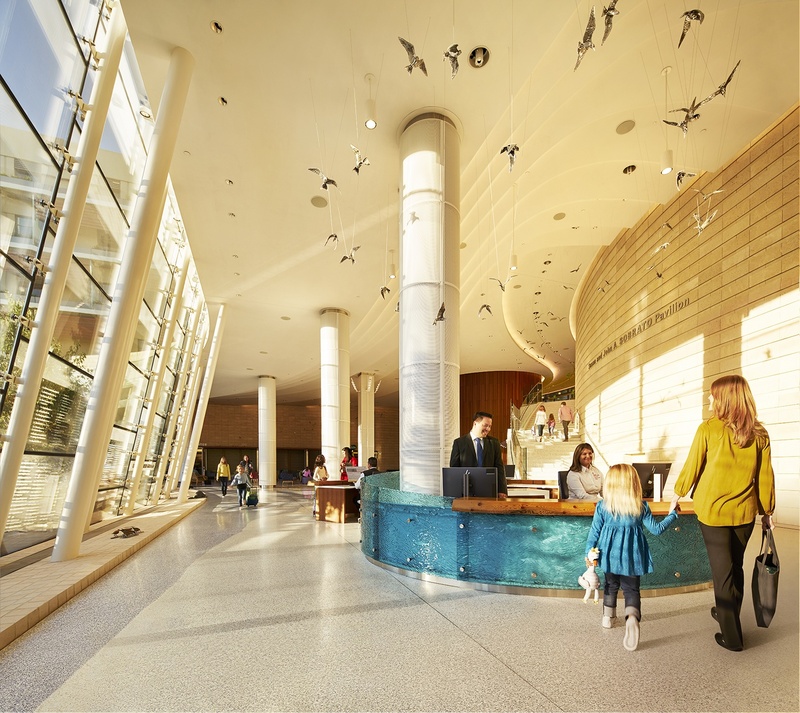 The hospital emphasizes holistic healing with views of nature, access to the outdoors, and abundant natural light. All patient floors offer outdoor patios that overlook 3½ acres of landscaping and gardens. Private patient rooms provide sleeping accommodations for two family members. Additionally, every patient floor includes a family lounge, child life room, patient-family kitchen, and laundry facilities. 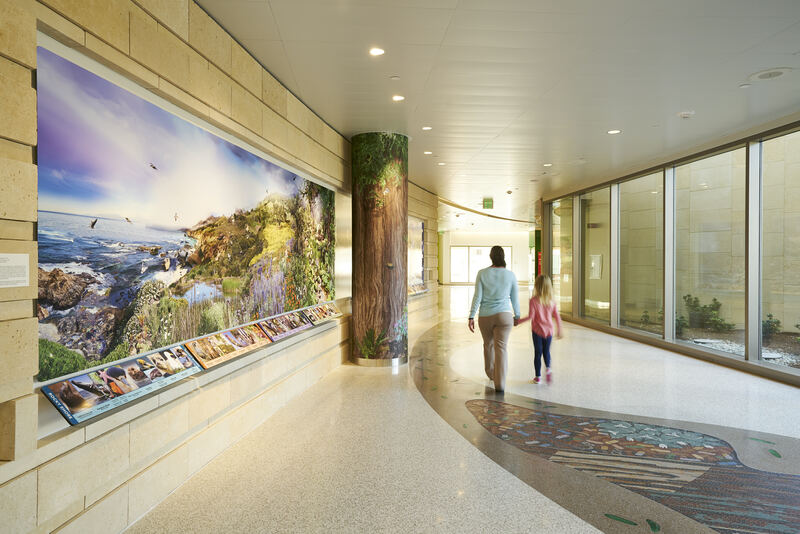 Wayfinding is based on California’s eco-regions, featuring colorful wall art, educational signage, and nature graphics that help patients and families navigate the hospital units while learning about the local environment. Other amenities include locally grown food served in the Harvest Café, regionally crafted art in common areas, Family Resource Center, and Story Corner where children can read or listen to storytelling. 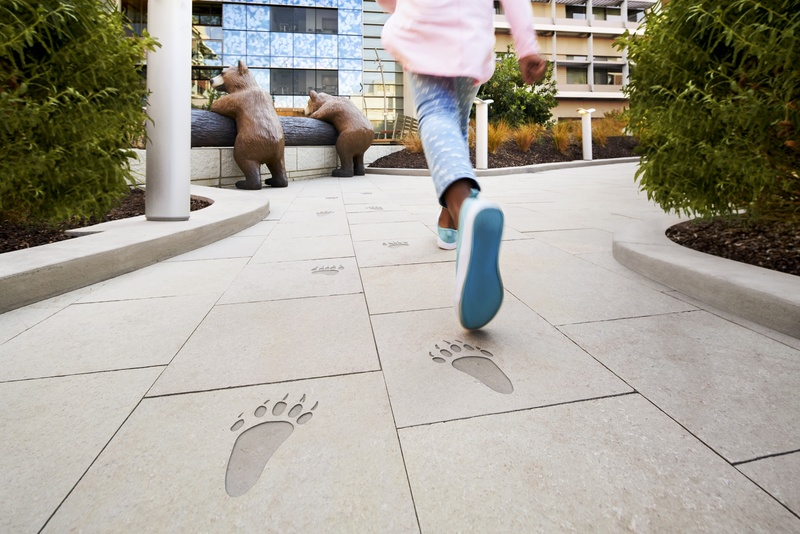 The hospital, which opened in December 2017, is one of just five new hospitals—and the second children’s hospital—in the world to earn the USGBC’s LEED® Platinum designation. Sustainability innovations include water-efficient landscaping and water collection systems, recycled and reclaimed local materials, and exterior shading system to reduce the need for air conditioning. Water and energy usage is displayed on an electronic dashboard in the lobby and on bedside entertainment systems. LPCH anticipates using 38 percent less water annually (saving nearly 800,000 gallons of water annually) and 60 percent less energy than average Northern California hospitals. 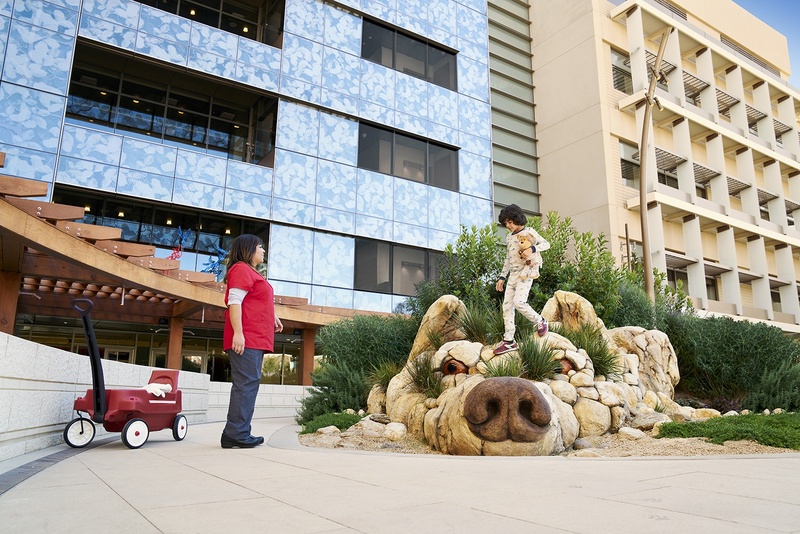 Lucile Packard Children’s Hospital Stanford establishes innovative approaches to children’s health and wellbeing, setting national benchmarks for care, sustainability, and community engagement. To say this place is extraordinary would be an understatement. The people that work inside these walls saved my daughter's life and made us feel like part of their family. To the doctors, nurses, staff and volunteers, I am so happy that you have a new home in which to continue your amazing work of healing and saving lives. 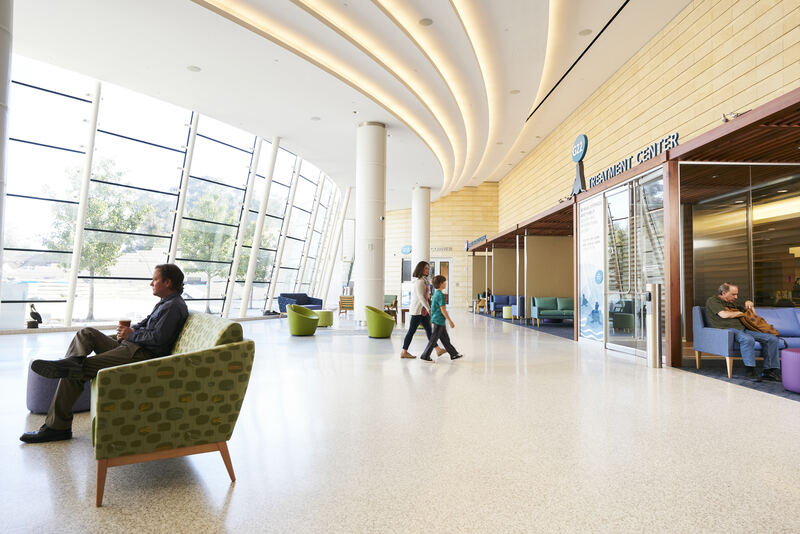 Reflecting Northern California’s commitment to environmental sustainability was an integral part in the new hospital’s design.